A decade ago, the Prancing Horse of Italy, Ferrari began a new era of luxury supercars with the launch of the 458 Italia, a futuristic model. As it replaced the F430, Ferrari began creating road-legal supercars as well in 2009, and soon revealed the new Ferrari Speciale. 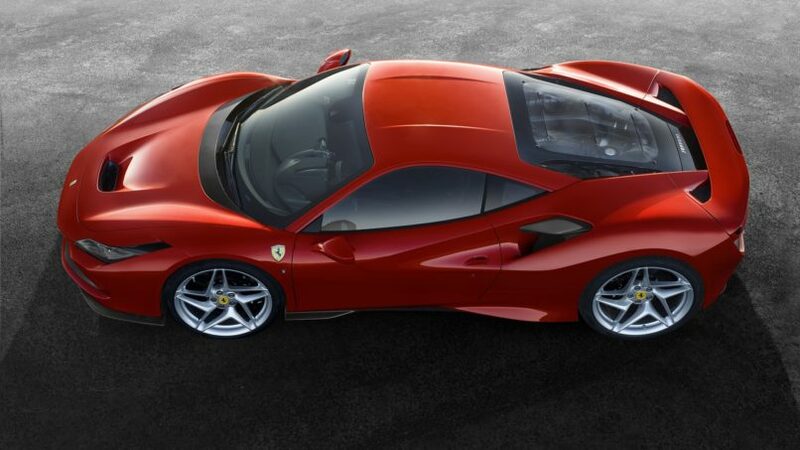 In 2015, its turbocharged successor debuted: The 2015 488 GTB. 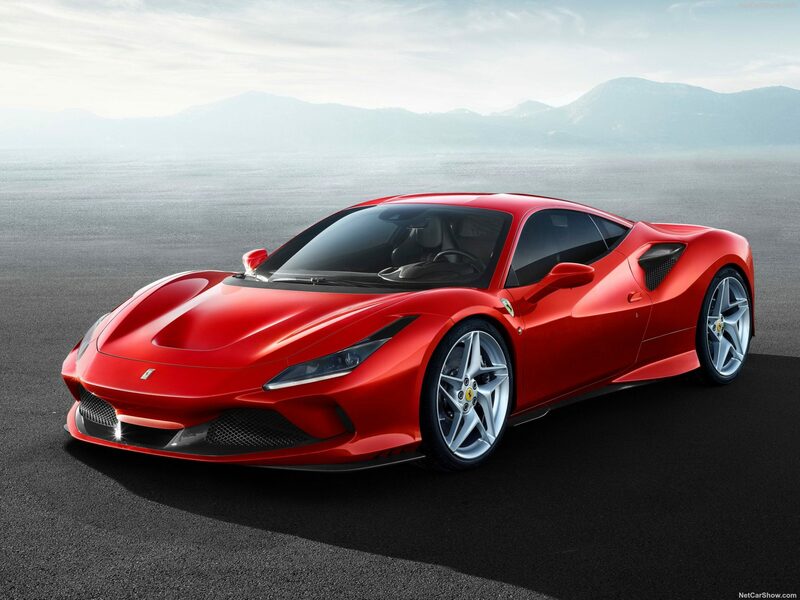 The 488’s platform was upgraded with 710 horsepower when Ferrari launched the Pista last year, and now, we are looking at its successor, the F8 Tributo. 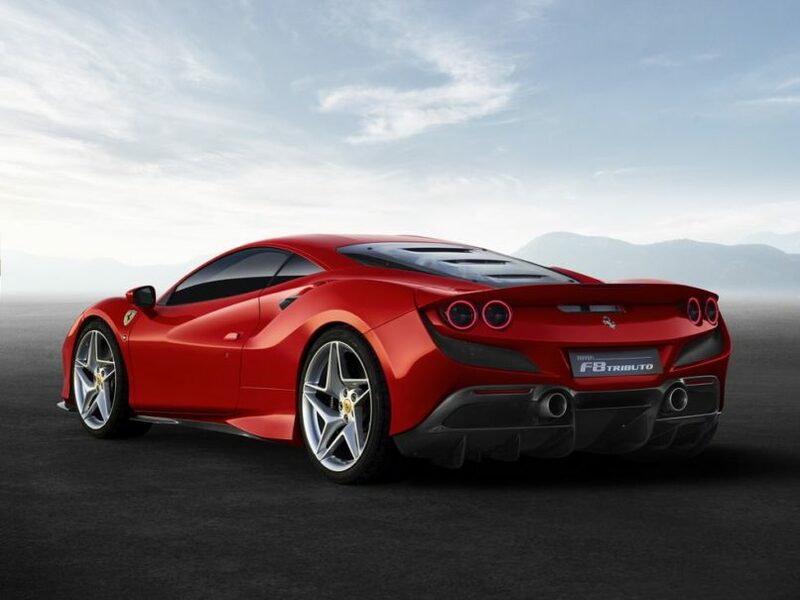 The Ferrari supercars have had a dynamic albeit rushed history – the brand has unveiled one model after another every alternate year or so – but their prowess in building luxurious machines and thirst for innovation has been revered since the brand’s genesis. As the current heir to the throne, the F8 Tributo plugs 49-HP more than its predecessor, slating in at 720-HP. 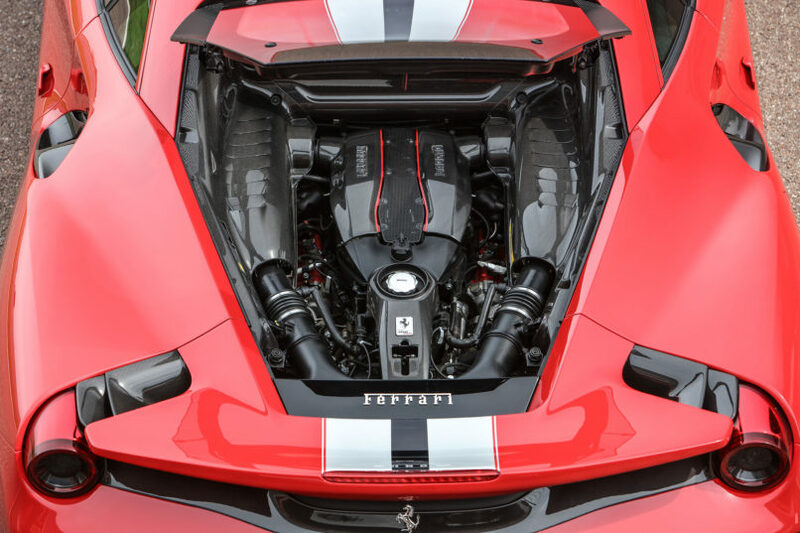 Notably, the most powerful V8 production in the automaker’s history, the Tributo also bears the same award-winning twin-turbo V8 motor passed on by the Pista. If the road’s in your favour, you can peak the Tributo’s 3.9 litre guzzler to producing 770-nm of raw torque. Clocking in 0-100 kmph in 2.9 seconds, it shaves just 0.1 seconds off the Pista’s record. It also claims it can achieve 0-200 kmph in 7 seconds while maxing out at a whopping 340 kmph. Upon close inspection, you’ll notice that the Tributo is Ferrari’s first car to wear a new design language with special emphasis on aerodynamics. The transparent engine cover of the Tributo is particularly unique with its three independently arched designs. This treatment is known as ‘Louvre’ and is said to help the aerodynamics, yet overall its silhouette compliments the roaring engine underneath. 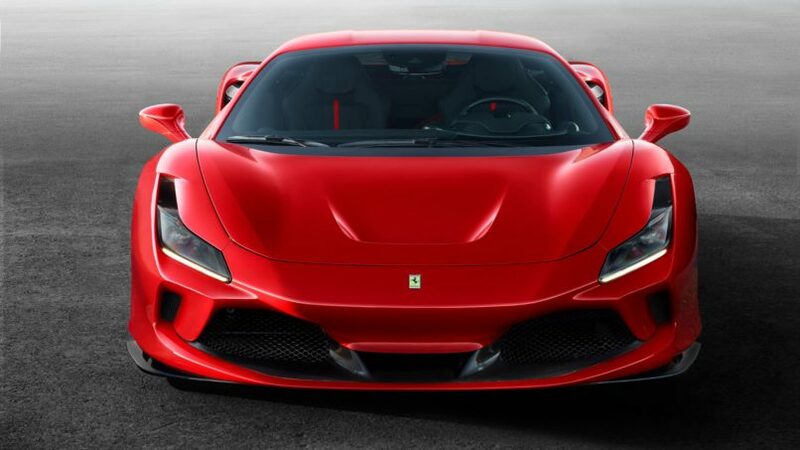 It bears serious facial resemblance with the 488 GTB in terms of bonnet dips and headlight design, but expect light tuning around the corners. The F8 Tributo claims to be 10 percent more efficient and producing 15 percent more downforce being sleeker than the 488 GTB. 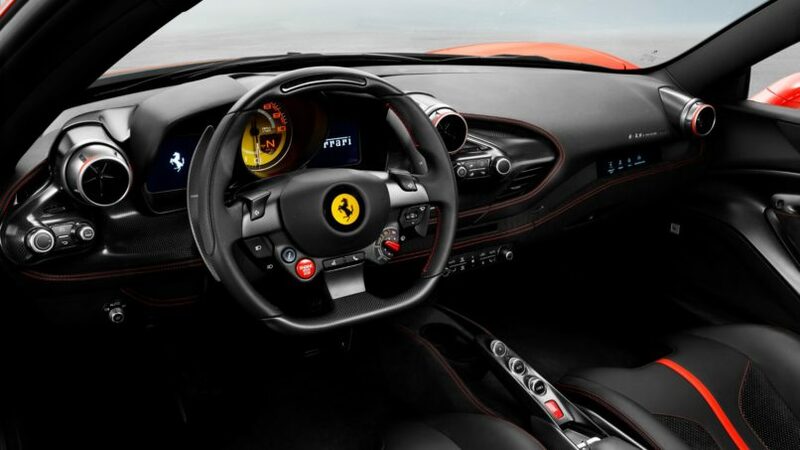 Inside, Ferrari upgrades with a smaller diametre steering wheel and lesser knobs and buttons. We’re unsure whether their features have been integrated into the 7-inch roll-out control panel or Ferrari decided to leave them out of this upgrade. The interior does seem more spacious and comfortable, the two-seater could offer bespoke features adding to its appeal. The F8 Tributo will be showcased at the upcoming Geneva Motor Show 2019 in all its glory. As far as availability goes, Ferrari has planned its global launch in the first quarter of 2020. While its predecessor, the Pista is plates in at Rs 3.6 crores, the F8 Tributo is estimated to arrive at a Rs 4.4 crores.